Associate Professor Katherine Mills is an NHMRC Senior Research Fellow, and Director of Early Intervention and Treatment Research for The Matilda Centre for Research in Mental Health and Substance Use. Her research focuses on the epidemiology and treatment of co-occurring mental health and substance use disorders, in particular, post traumatic stress disorder. 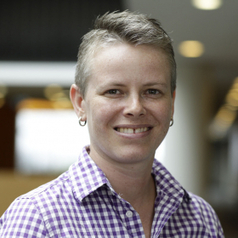 A/Prof Mills has published widely in the area and has been an investigator on numerous grants. She has received a number of awards for excellence in science and research, and in recognition of the impact of her work on the community.